A trip to the country, the first trail race of spring and a never ending hill climb. 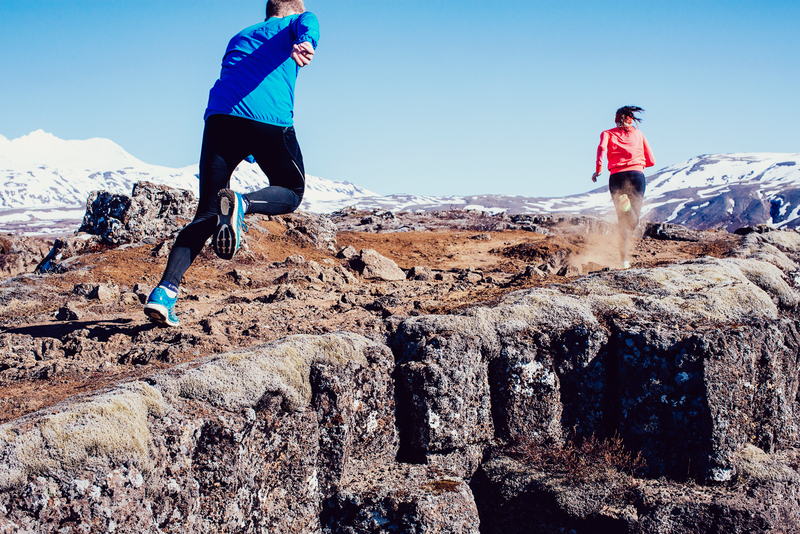 The running club Skokkhópur Hamars in Hveragerði organizes a trail running series which consists of three 19 km races and one 24 km race. The races are held once a month, in April, May, June and July. The last race of the series is a 24 km race in Reykjadalur (Smokey Valley) and it is a part of the Hengill Ultra Race. The organization of the race is quite simple and the race has a really friendly and laid back atmosphere. The first race of this year’s series was held last Saturday with a sunny start soon turning wet. Around 50 runners turned up, eager to conquer the trails and hills ahead. The race starts at the beautiful town park close to the swimming pool. At the beginning the course takes you to the east on a soft trail through woodland and grass. After 3 km you turn around and run the same way back to the aid station where the race started. After a short break it is time for some uphill running. Now the route takes you in the other direction and you run approx. 6.5 km uphill until you turn around and run the same way back. What a relief it was to reach the top! The trail up Kambarnir mountain is rugged and in April there was still some leftovers of snow at the top. After the race, everyone was rewarded with an ice cream and an entrance to the local swimming pool. There is no better way to finish a race day than to linger in the hot tub with your fellow runners and jump into the cold pot – once or twice – for faster recovery. Hveragerði is a beautiful little town with a geothermal park in the middle. It is located 45km from Reykjavík city center.